If I look outside the window now, I see a beautiful scenery of pure white snow, showered by the sun rays and little snowflakes falling down, glittering like diamond dust. 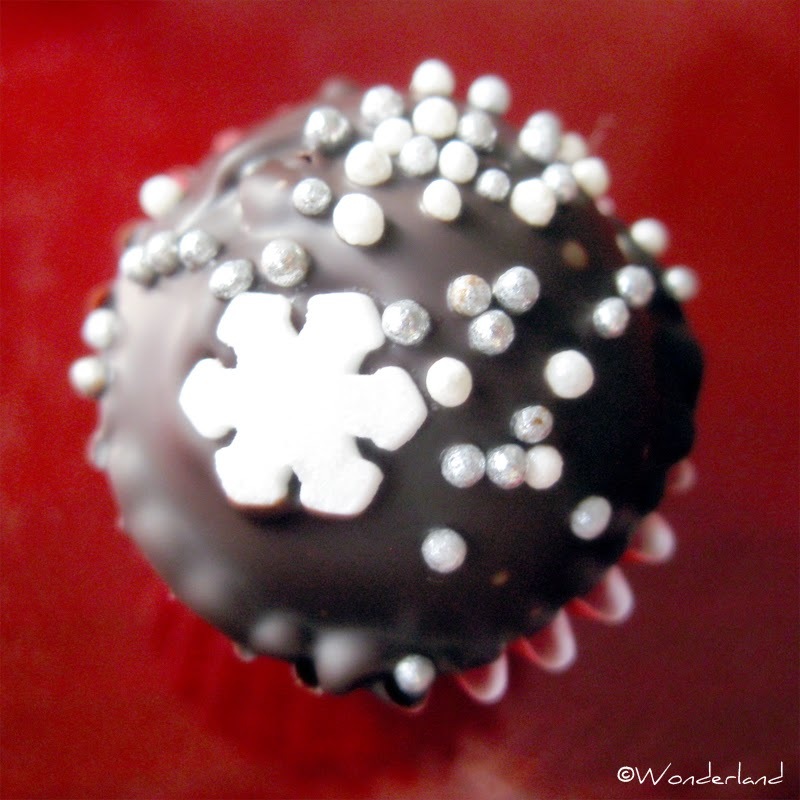 All that inspired me to make these simple Chocolate Truffles, of course decorated with snow-shaped sugar sprinkles. 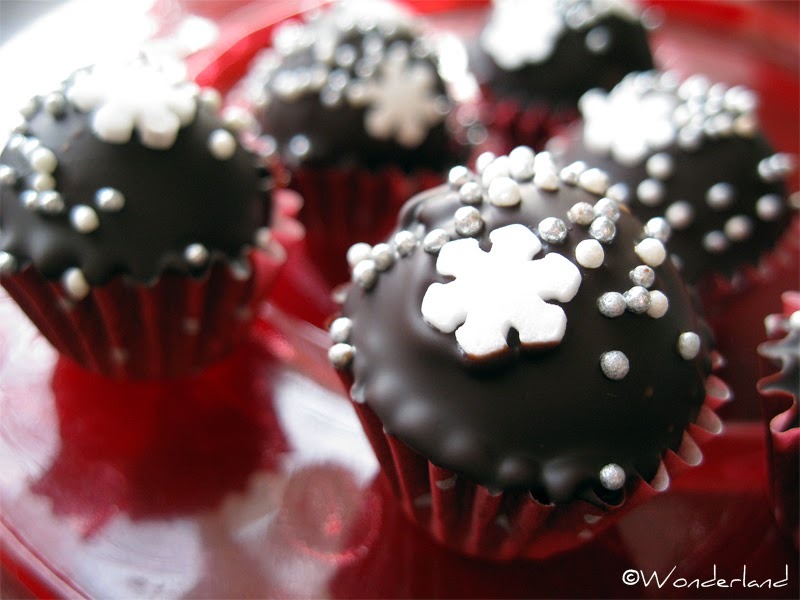 The base for these truffle is made the same way as the Cake Pops (recipe here), so basically with fresh creamy cheese, chocolate and Oreo cookies. Make small balls from the dough, place them on a plate covered with a sheet of oven parchment and leave them in the refrigerator for some hours. 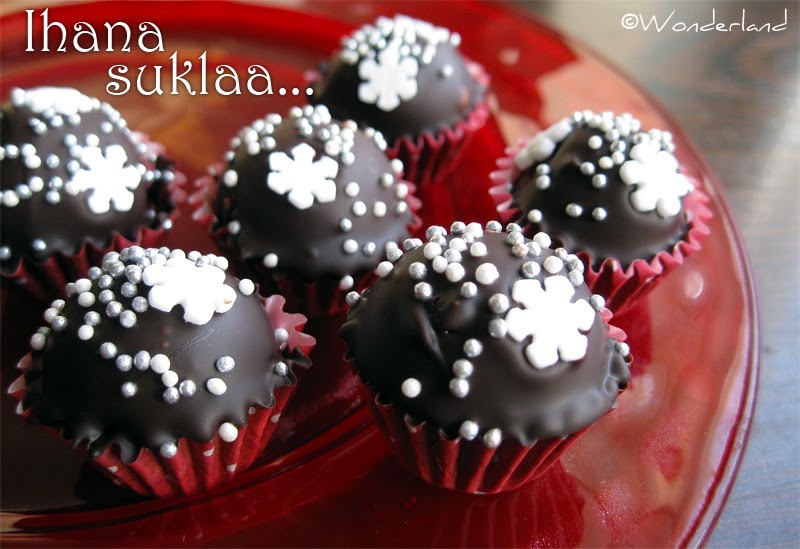 Melt the chocolate in the microwave or in a pot. Dip the balls quickly but carefully in the melted chocolate and place them on a sheet of oven parchment (perhaps using two of teaspoons to grab them more easily). Would you like to send some of these to me? !